Your compensation strategy should make it easy for your employees to invest in your vision—especially your key performers. It should create a unified financial vision for growing your business. As a result, you need an effective way to share long-term value with those who help create it. The dilemma is finding the value-sharing approach that will best help you drive the sustained performance you want. 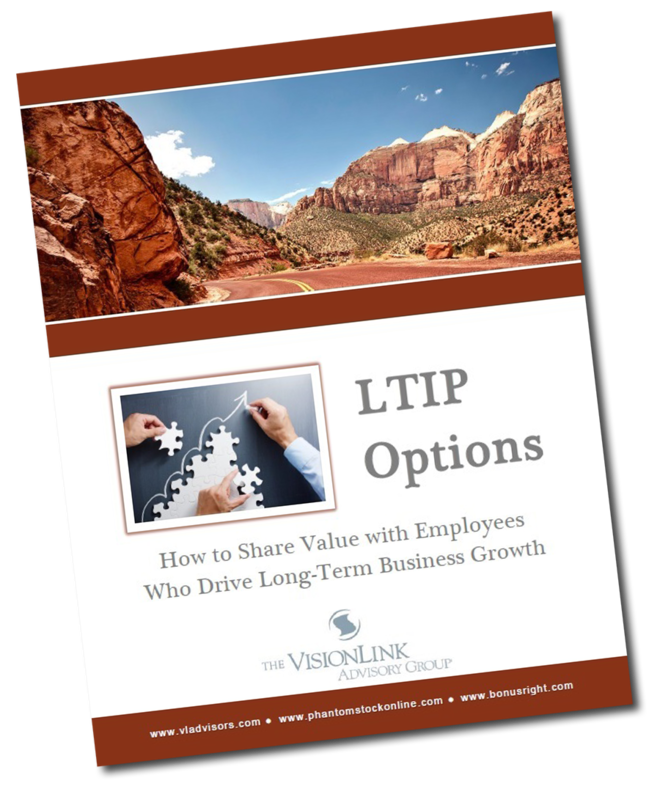 VisionLink’s report solves this dilemma by describing nine different types of long-term incentive plans and how to determine which one is right for your company. This guide will help you understand your options for developing a long-term incentive plan that turns your employees into growth partners. You will come away with a clear picture of how different plans work and when to use them. It will teach you how to share value with your key performers without diluting the equity of shareholders, why phantom stock is viewed so favorably by private company owners and when a plan not tied to business value is the best option. The team at VisionLink helped our company structure a long-term incentive plan that parallels the company’s strategy for continued growth as a global market leader within our industry. Their approach resulted in a program that our corporate team and executives embraced on both a professional and personal basis. Through VisionLink’s guidance and execution, we were able to create both a motivational tool for current team members and a recruiting device to attract future executive level associates.